Ignatius Eatery is a fairly-new Cajun / Creole restaurant in the Garden District on Magazine Street in New Orleans. It is named after the main character in the very funny and witty book A Confederacy of Dunces. There are quotations on the walls, although most of the place and none of the tables are decorated. 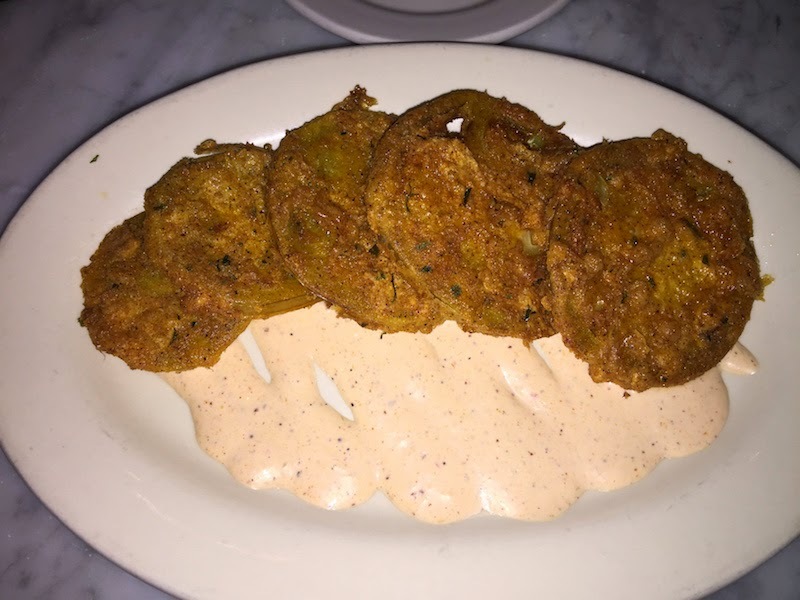 We started with appetizers, including fried green tomatoes. They were fine but not over the top. 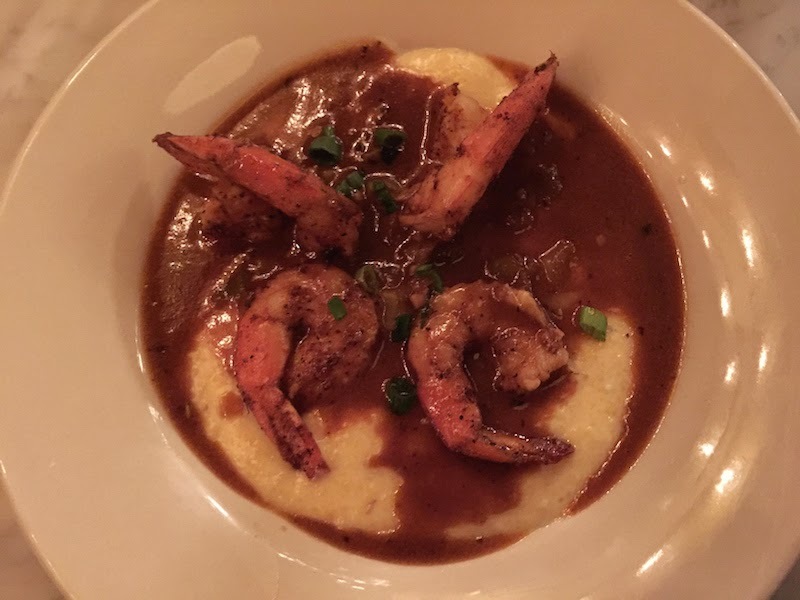 The shrimp and grits, however, was excellent. Tasty, creamy and with just the right amount of heat. 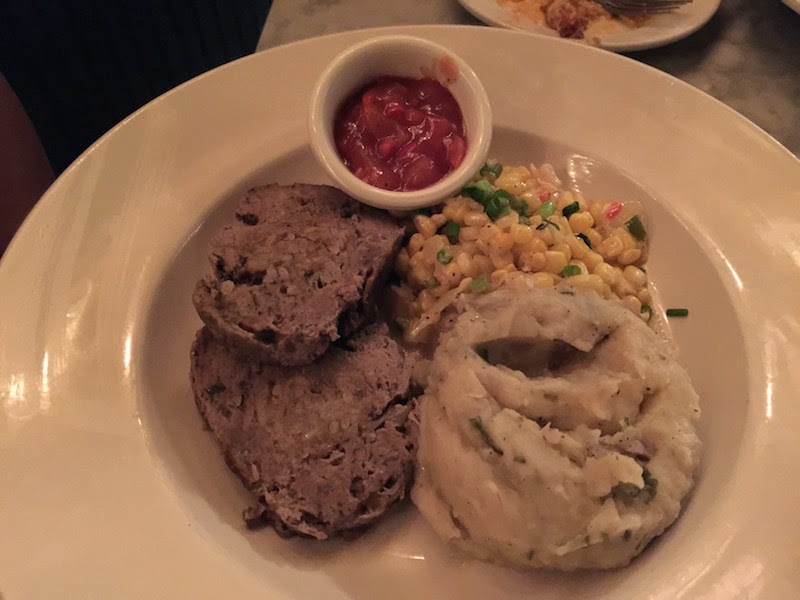 Boudin meatloaf has pork mixed in. It's heavier than a typical meatloaf, and pretty delicious. The crawfish etouffe was really delicious. The portion was a tad on the small size considering the price, but the flavor and freshness were excellent. 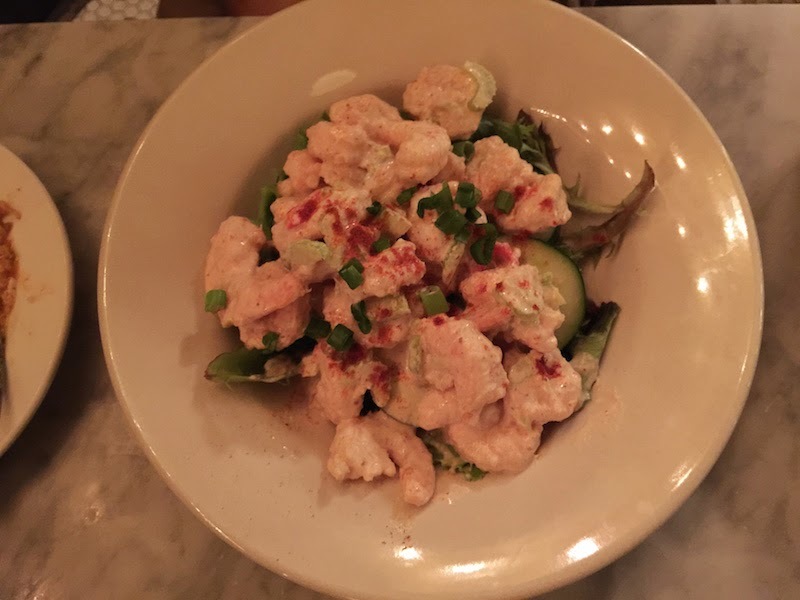 The shrimp remoulade salad was not over-priced and the shrimp were fresh. The shrimp sit on a bed of lettuce covered with remoulade sauce. A very good salad. 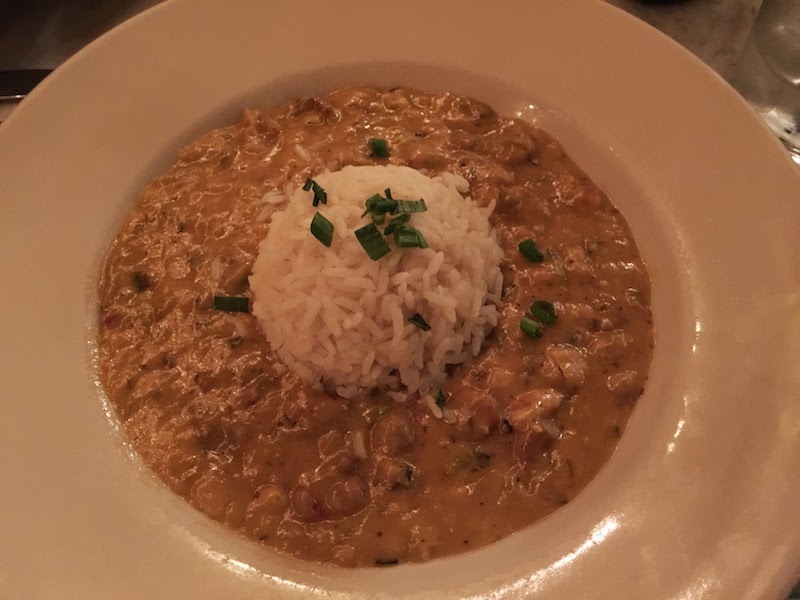 Perhaps a little over-priced, and not all of the dishes where top-notch, but we really enjoyed a few of them and Magazine Street makes for a fun stroll with its shops and food. 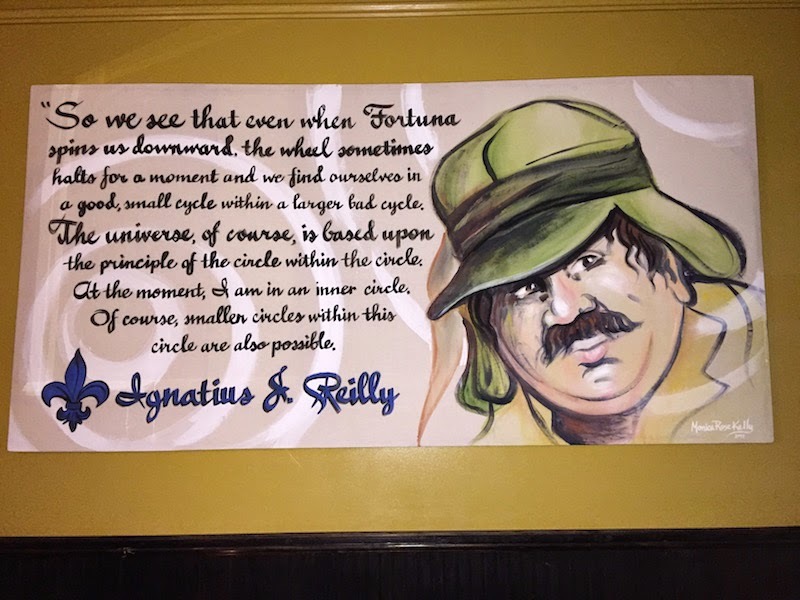 For a themed restaurant, it would have been fun to see more decorations and items related to the book, and for the staff to be more knowledgable about it. The food show where I saw it was on Chuck's Eat The Street. That show was only on for a short time, and I suspect it was because it tended to focus on very new places which had not yet established themselves. Ignatius Eatery probably needs to kick their game up a notch to survive in foodie town such as New Orleans.